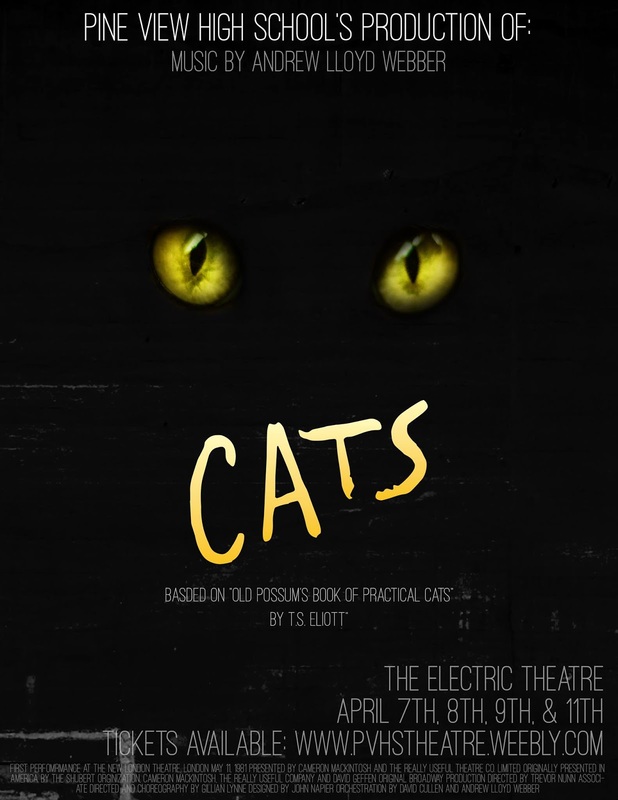 Have you ever seen the musical Cats? I feel like I've seen it somewhere but I can't remember where. Maybe it was just the movie...Pine View High School's theater department is performing this musical April 7th, 8th, 9th and 10th. I love supporting our local high schools and there are often times some very talented kids! Pine View High School's auditorium is under construction so they will be performing at The Electric Theater in downtown St. George.